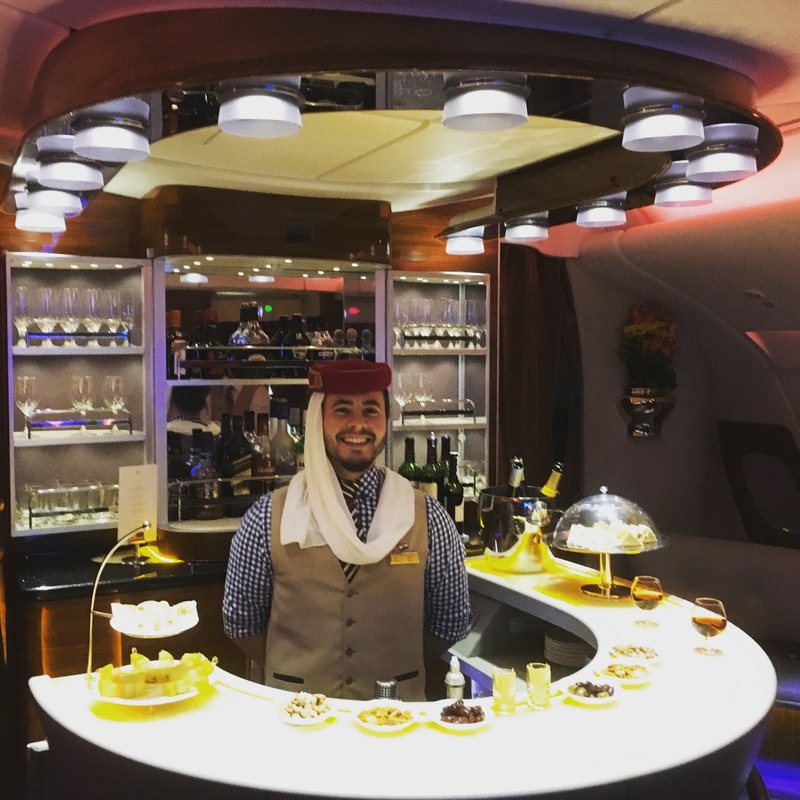 How we upgraded from Business to First on Emirates | No Mas Coach! For me, even the increased price is WELL worth it, as the service is unique, and we haven’t experienced anything like this before. So we saw that there was a flight from Hyderabad to Dubai to Los Angeles to Seattle available, and we grabbed it as quick as we could. The downside? 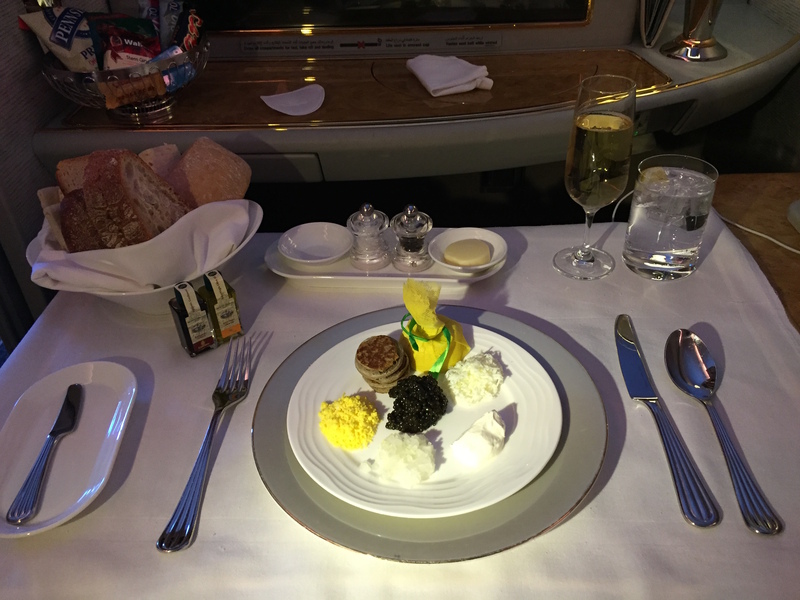 HYD-DXB was in business class, while only the flight from DXB-LAX was in first class. You see, if one leg is in business class and one leg is in first class, you’re charged first class for entire trip, no matter what class of service the other flights are. There’s no discount for getting one leg in a lower class of service. The only problem that we ran into booking the flight 7 months ago was that Emirates had not opened up space in First Class for one of the legs for our trip, so it was either take the flight in Business class from India to Dubai and then continue in First, or try and hope that no one else booked that seat in First Class from Dubai to Los Angeles. 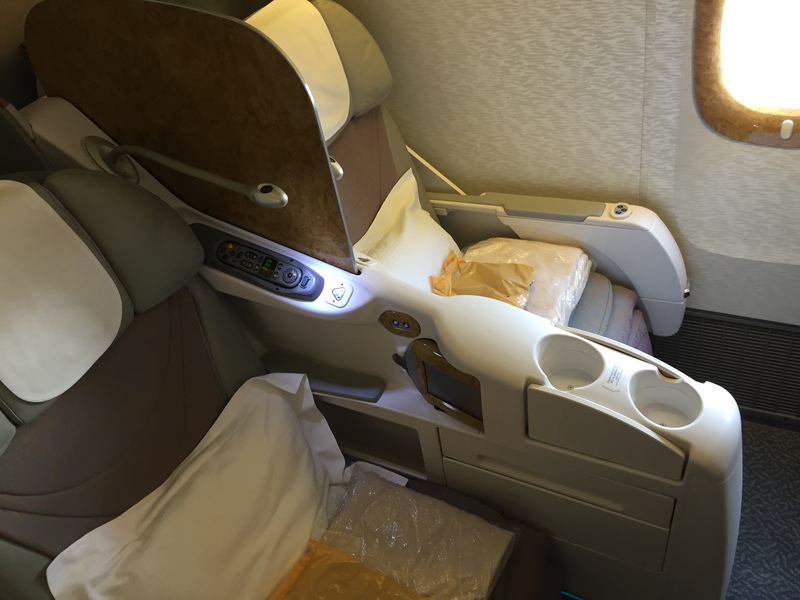 While I was looking at flights for someone doing our award booking service, I noticed that the flight from HYD-DXB had magically opened up in First Class on Emirates for two people. Immediately I called up Alaska and explained my situation. I said that we had booked business because it was what’s available, and I see that it’s now available in first class. If it was possible, I’d like to get First Class on that first segment, since we had paid for it and now it was made available by Emirates. Emirates is a bit of a strange case in that usually for you to make changes to one portion of the itinerary, the ENTIRE itinerary must be able to be rebooked, and that flight from DXB-LAX was showing up as not available. We experienced this problem back in February when we couldn’t get our upgrade to go through. 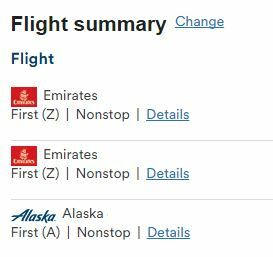 After about 20 minutes of back and forth with the agents and a supervisor, we got them to allow Emirates to release the space so Alaska could grab it. I’m told this isn’t the norm, but just like all things in life, if you get the right person to help you, it can work. Now, when we look at our information, we can see that we’re in first all the way! We’ll be flying in a 777 from HYD-DXB and then the always amazing A380 from DXB-LAX. Every airline has different rules about changing their tickets after they’ve been booked, but a lot of supervisors have the ability to make changes if the situation seems like it merits it. Alaska has never let us down, as their customer service agents actually seem to employ common sense, which is a rarity in the industry at times. 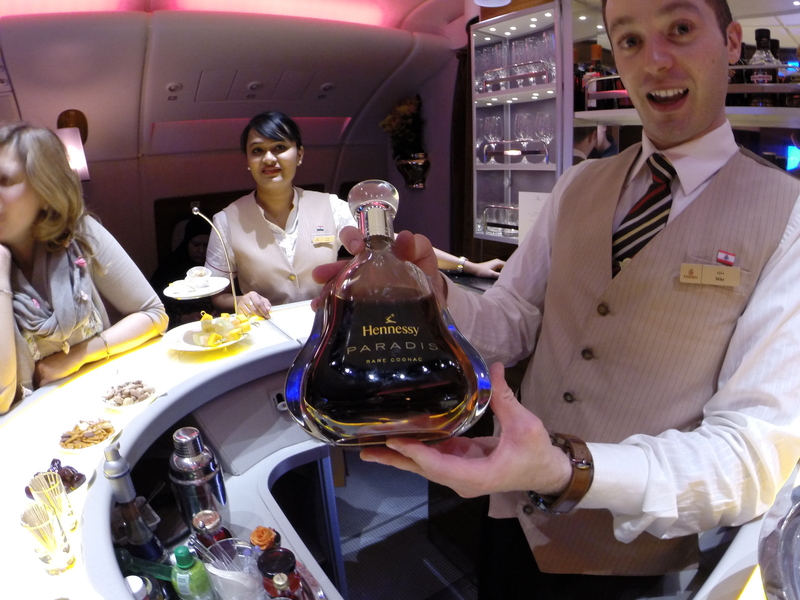 Have you had the chance yet to fly in Emirates First Class? Do you prefer the 777 or the A380? I think EK F on the A380 is the best overall for longhaul flights. For short-haul flights, however, I prefer the 777 or even the A330-200 (does EK still have them) since the smaller cabin feels more intimate. It looks like they were going to start flying the A380 to Chicago but have delayed it. There is availability however on a lot of dates to fly in first class on the 777.